As soon as summer started, our family went into non-stop sickness each week. One week the minis would be down with the colds, the next week it would be my turn, then it would be A’s turn. This went on for weeks and by the second week of April, we found ourselves all very sick. As in can’t-stand-up-sick. I was even observed for Dengue Fever because of my on-and-off high fever accompanied by chills. My nose bled a couple of times too. I cried because I feared the worst. I had Dengue Fever not more than a year ago, and if I had it again, it would be my third time and it could be fatal. Thankfully, I didn’t pass for Dengue Fever. I simply had the flu; and likely over fatigue as I have been working late for months already. A doctor suggested that all I needed was fresh air and some rest. Real rest. As soon as I was able to stand, we took a ship (2Go) going to Odiongan, Romblon so we can take a 5-day vacation in my mom’s hometown: Looc, Romblon. True enough, by the second day, I was feeling a lot better. My lungs have cleared, my coughing bouts stopped, and my colds suddenly went away. I never felt that good for months! 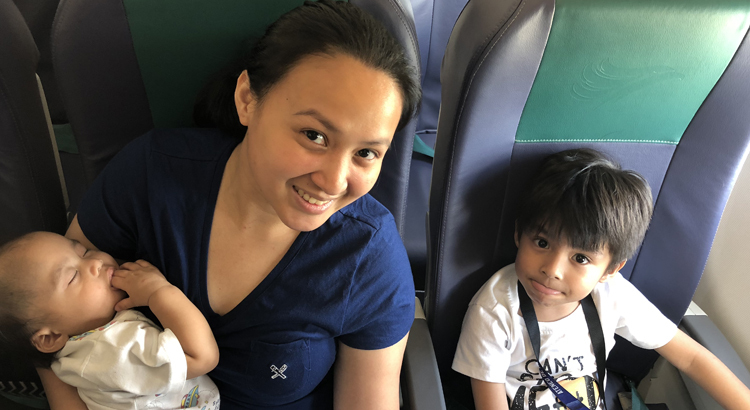 We spent days 1-3 in Romblon wherein we visited our Lolos and Lolas, enjoyed the white beaches of Romblon, and tried out the new restaurants that popped up in recent years. 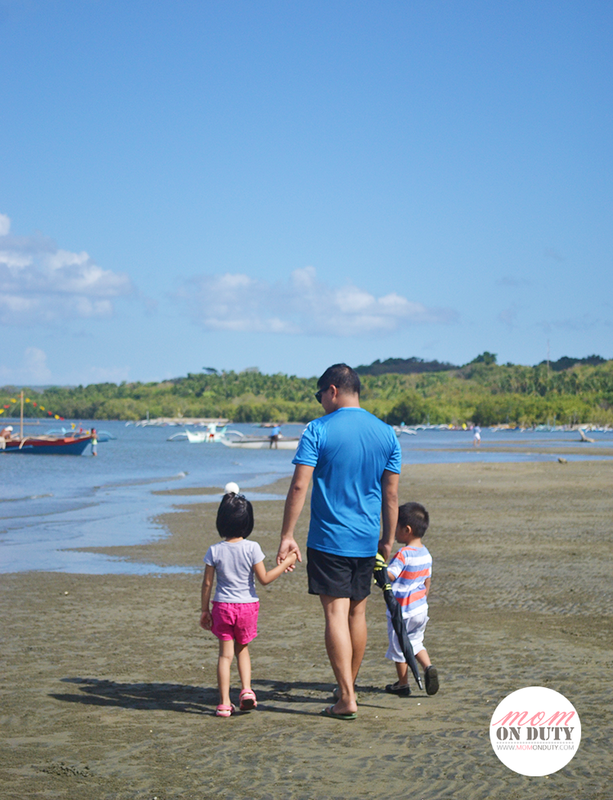 Of course, being their first time here, I brought A and the minis to the famous Looc Sanctuary, a protected sea area that houses various fish species. You can reach The Sanctuary from the Port of Looc. 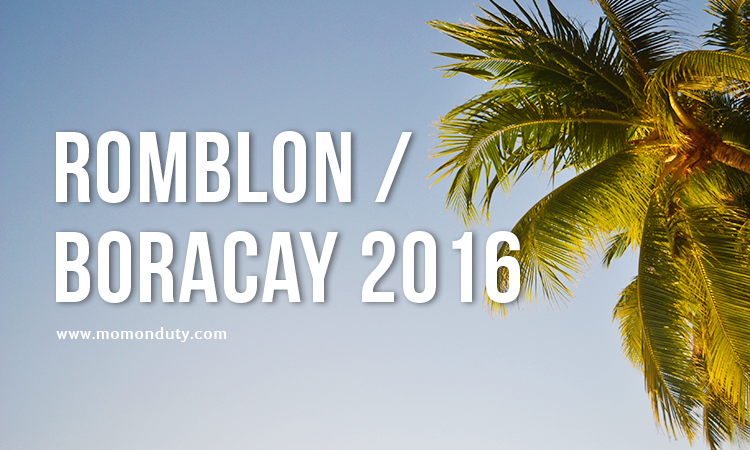 As of April 2016, it costs PHP100 per person to go there, two-way boat ride included. The kids will really enjoy this place because they can get feed AND swim with the fish. We are very proud of this place because our Lolo Vital, who served as Vice Mayor of the town of Looc years ago, was one of the people who pushed to protect this area. Now, there are lots of fish here! The minis loved taking morning walks here. One time, during our morning walk, we caught a parade and Pagoda. The minis have never seen one before, neither have I – so I took the opportunity to take some snaps. We also caught a glimpsed of fishermen preparing their colorful boats for the boat race after the parade. Unfortunately, we didn’t get to witness the race itself. Why we didn’t get to watch the race is because my very spontaneous husband decided to board us all on a boat going to Caticlan. 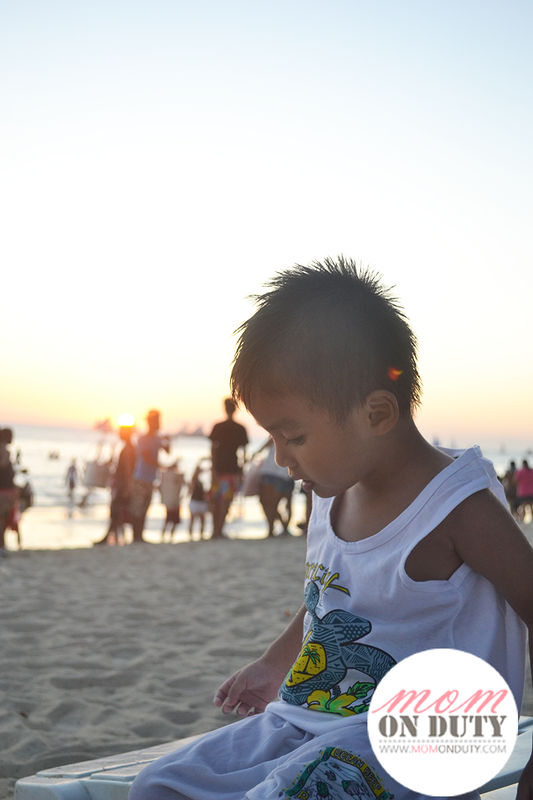 With just a wallet and a camera with us, our adventure in Boracay began. I can’t even call it a backpacking adventure because we didn’t have a backpack to start with. Haha! As in, we had no things with us. 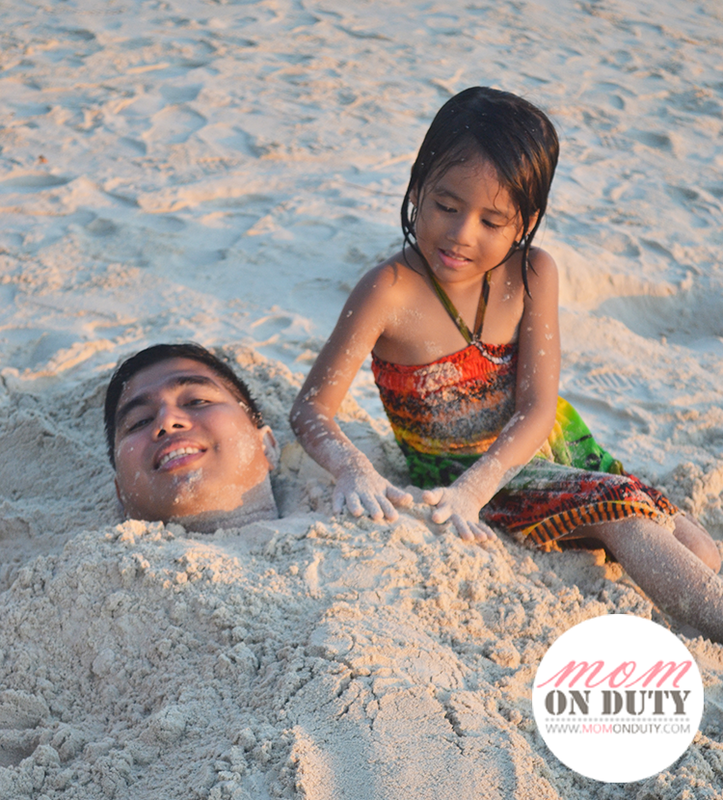 My husband and the minis have never been to Boracay, which is why they were all so up for the adventure. I, on the other hand, have been there a couple of times before since it’s super near Looc. 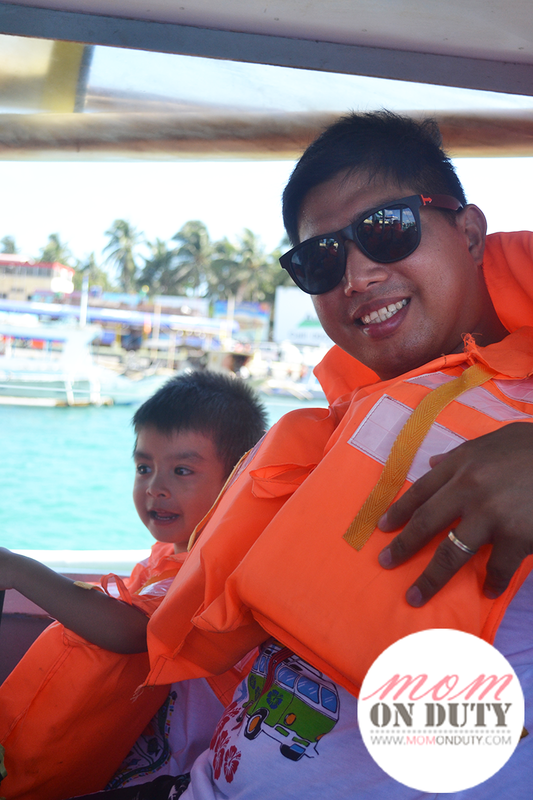 Before, we used to take a boat from Looc and jump off directly on the shores of Boracay. But since they want to keep the white sand shores of Boracay clean, all boats need to dock at Caticlan first, then tourists will have to take smaller boats to the back area of Boracay island. Since we had no plans at all, the first thing we did when we arrived was to look for accommodation. We knew no one in Boracay, but we know we have friends we haven’t met that we’re sure are always ready to help – the Boracay Fire Fighters. One of the perks of being a Fire Family is that we have friends all over the country, the world even! 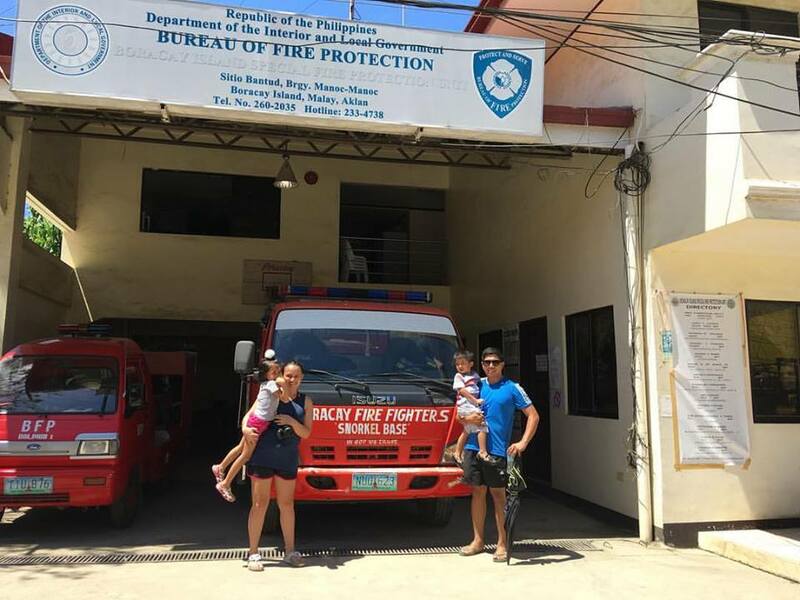 And so we took a tricycle from the port to Boracay Fire Station. In disbelief that we actually went to Boracay unprepared, the firemen there helped us find a hotel. We expected a not-so-nice one since we had no booking, but they found us a pretty comfy place to stay in that’s just two minutes from the beach – St. Vincent Cottages. Unfortunately, I wasn’t able to take photos of the room because the minis immediately invaded the bed. It has basic amenities – a bed, an airconditioner, a television, and a nice bathroom with soap and shampoo. After taking a quick rest, we went to D’Mall to shop for clothes. In fairness, we bought quite a lot for just P1,000. Clothes, toiletries, and snacks. Since we were out already, we also had lunch in the area. The minis wanted fish and chips so we took them to Astoria Boracay for lunch. With a glass of Mango Shake each and a platter of Fish and Chips, they were more than satisfied! Once we’re all set, we took the minis to the beach for some time under the sun. The Princess has been asking for the beach for months already so she really had fun playing and swimming. The Princess’ favorite part, she said, was when she buried her dad in sand. Just like me, the Little Man loved the swimming part of going to the beach, but playing in the sand isn’t our thing at all. So the two of us hung out on beach beds while A and The Princess played by the beach. Once the sun set, we went to a grill by the beach (sorry, can’t remember the name!) and enjoyed a platter of pork barbecue with steamed white rice. I wanted to eat seafood, but since the Little Man and I seem to be having allergic reactions to certain kinds, we had to pass. We took a walk by the beach once more after dinner to enjoy the stars and watch the fire dancers. By 10 in the evening, we called it a night and headed back to our hotel. I woke up early the next day because I know that the boat going back to Looc leaves by 9 in Caticlan. It’s the only boat going home so we had to catch it. Otherwise, we’ll have to stay in Boracay for another day. 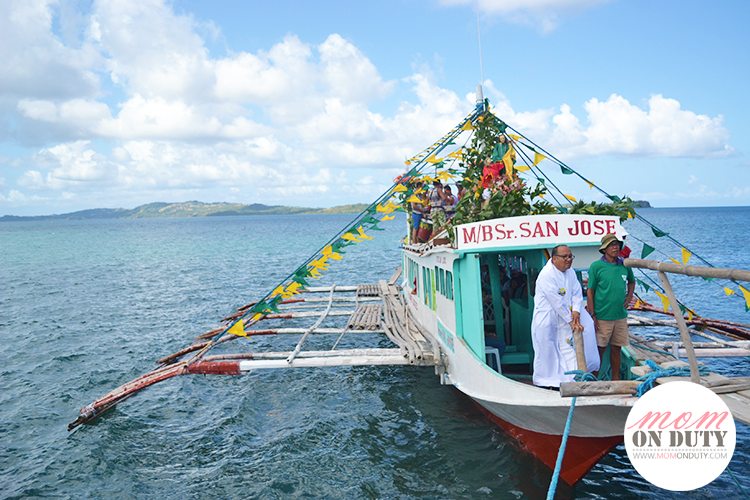 We were in Caticlan by 8:45, and to our surprise – the boat going to Looc left early!!! We found ourselves scrambling to find a way to go home. 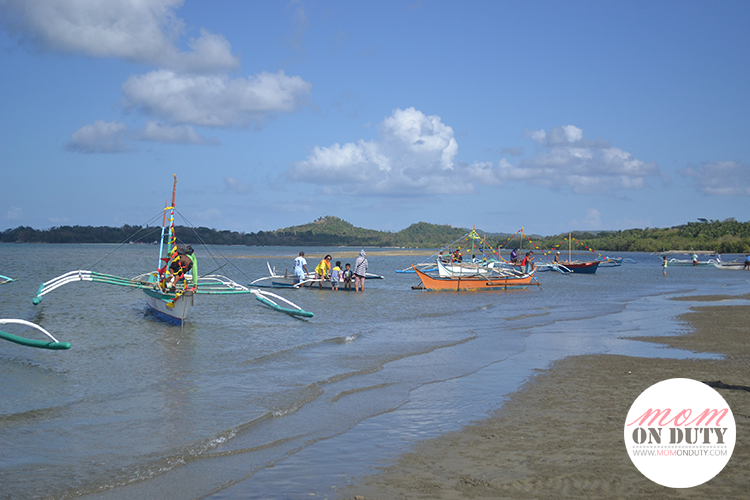 Thankfully, a tricycle driver pointed us to another port in Caticlan where locals board. He said there are boats there that go to Sta. Fe, another town in Romblon. We took our chance and boarded that boat instead. 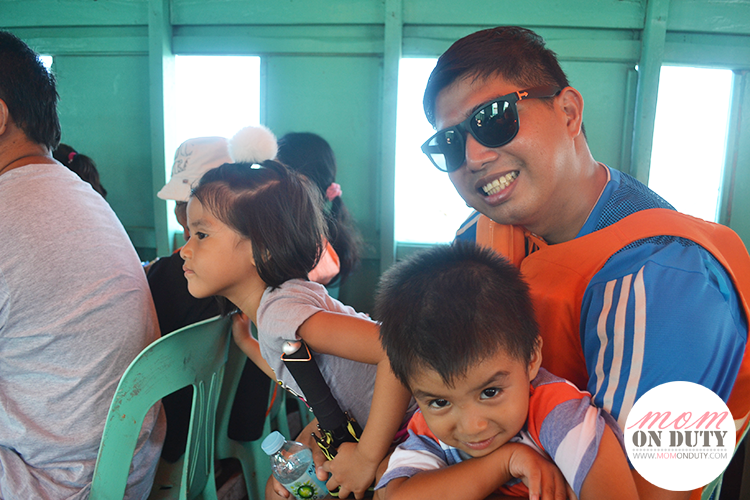 Unlike the tourist boats that dock in the main port of Caticlan, the one we boarded is a much smaller one. I found myself praying the whole time because we can really feel the big waves pounding at the boat. Thankfully, the minis fell asleep during the ride so they didn’t get scared. After 2 and a half hours, we finally reached Sta. Fe, Romblon. Unlike the port of Looc, this one was empty. There were no one else on the port except for men in motorbikes. 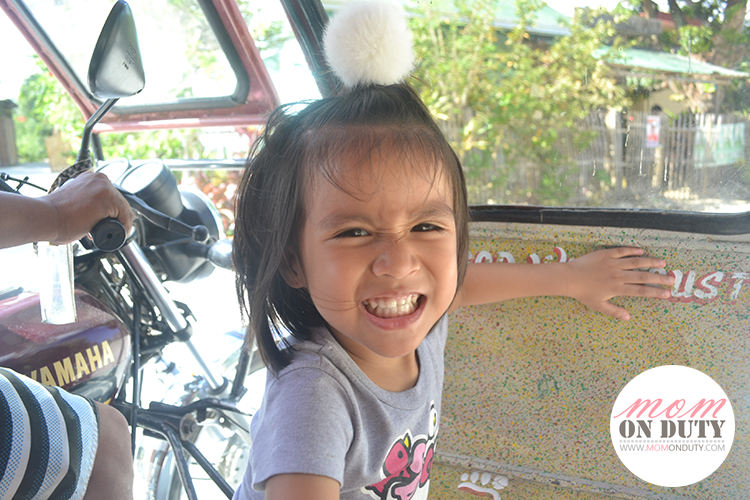 We learned from another passenger that the only way we can reach Looc was to ride the motorbikes! And that’s a two-hour ride! 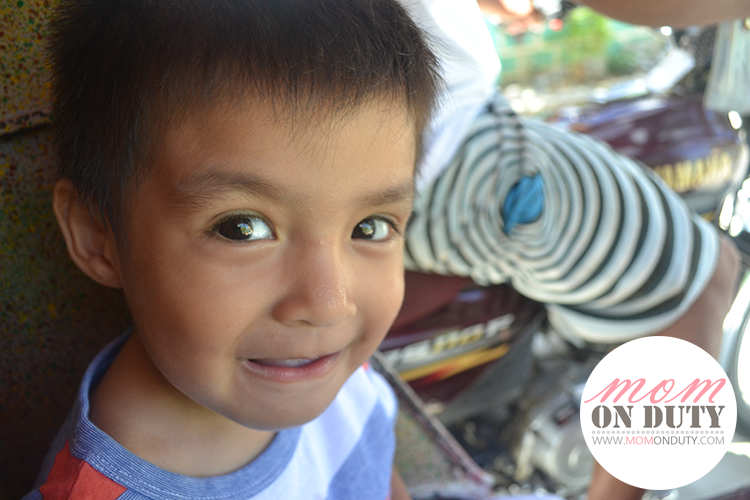 We were about to ride the motorbikes when, thank heavens, our Lolo Ben called. He told us to go to the police station and seek assistance from the Chief of Police. By sheer coincidence, the chief knows Arjay’s classmate from the academy, who was once assigned in Romblon as well. 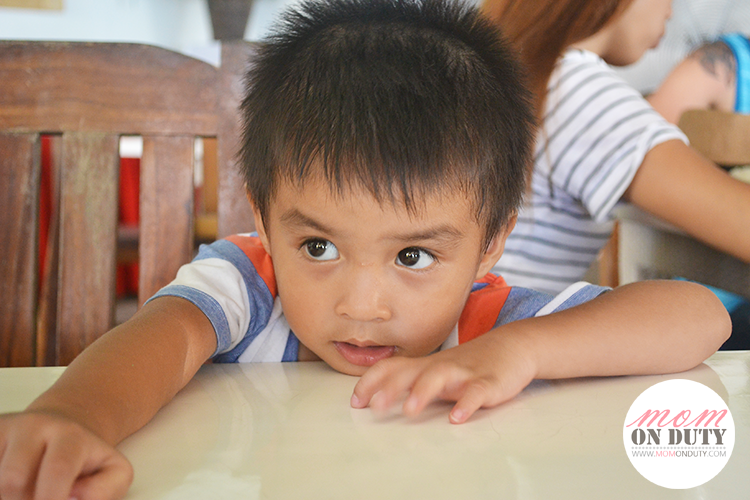 After a quick rest at the station, he offered us a safer ride back to Looc. Before we knew it, we were already home. I expected to get a long sermon from all our grandparents in Looc because of the crazy adventure we went on. But, instead, they all just laughed it off. They were most amazed that the minis survived AND enjoyed the whole adventure. 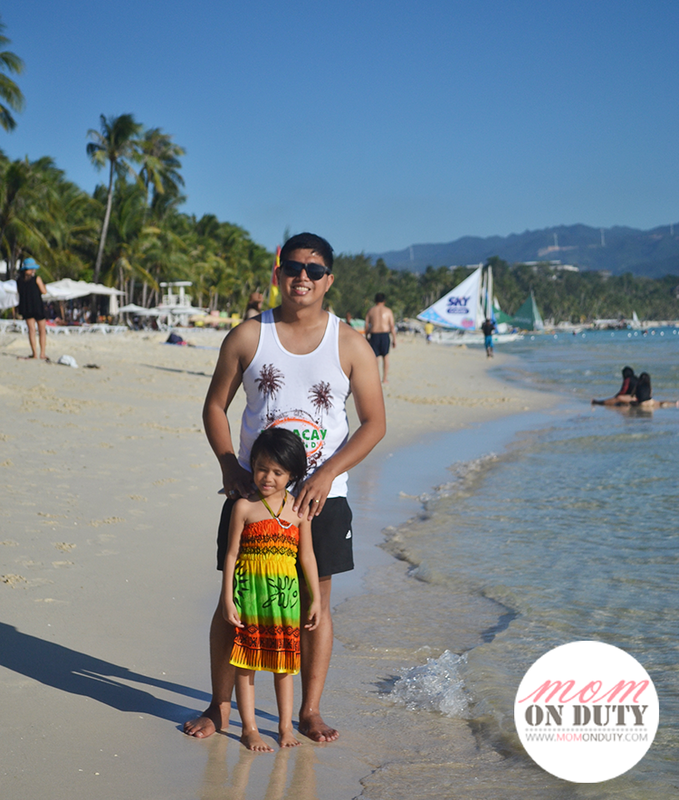 “Mom, can we go on more adventures?” my daughter would ask me each day since our Romblon-Boracay adventure. Soon, I hope! Unplanned trips are the most memorable, right? I’d be more than happy to have an interview with you, Julie! My family just got home from a five day trip (2 hours ago). Isn’t it so tiring and so much fun at the same time? How wonderful naman your trip! I hope we could get to hop on to another island when our own mini is bigger. 🙂 I loved how spontaneous your boracay trip was. The island is close to our hearts. We just came from an adventure but would love to have another! We haven’t been to Boaracy yet. Another must visit for us. That was indeed a crazy adventure but a really fun one! 🙂 I’m so envious right now. The summer is almost over and we haven’t gone to the beach yet. This makes me want to go on an adventure too! I wish we have one soon. What an adventure! I’m certain your kids will remember this trip! One of my dream destinations is Romblon. How I wish I can go there! Lovely photos! 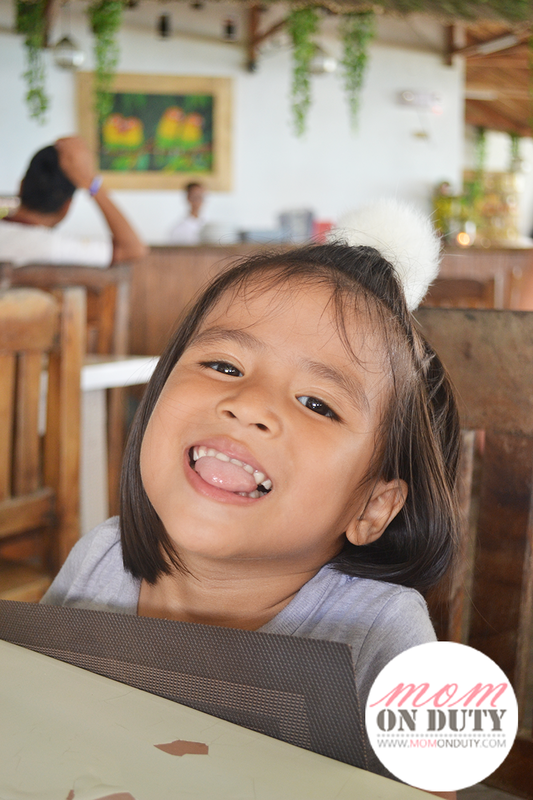 Mukhang nag enjoy ang mga bagets! 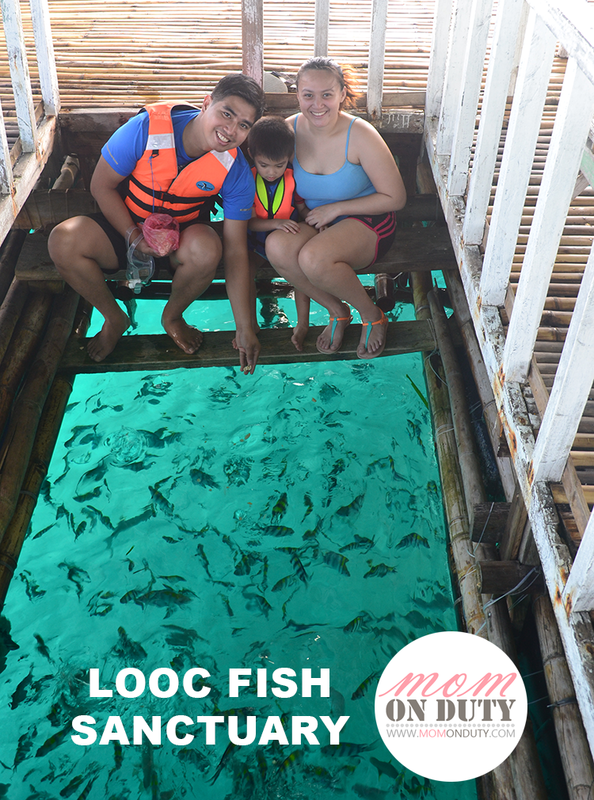 My kids will definitely enjoy the Looc Sanctuary! They love fish because of Nemo and Dory! The kids really enjoyed this place! That’s exactly what my doctor said. 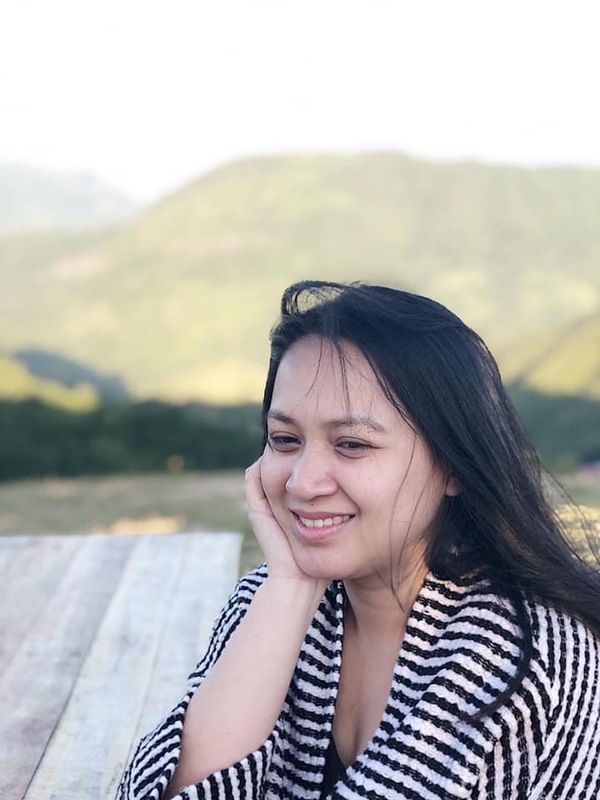 I just need some fresh air – makes me want to stay there na! What an adventure! So exciting that the Boracay part was totally unplanned and unprepared for. It makes it all the more fun haha! The kids really had fun! I, being a control freak, was panicking the whole time. Haha! Traveling to places is super fun and memorable if spent with family. Its nice to watch our kids play with the water or the sand and even tell you repeatedly that “we go back here, please.” So happy to see you enjoy with your family and hope many more travels to come. Looks like your family really had an awesome Summer!!! 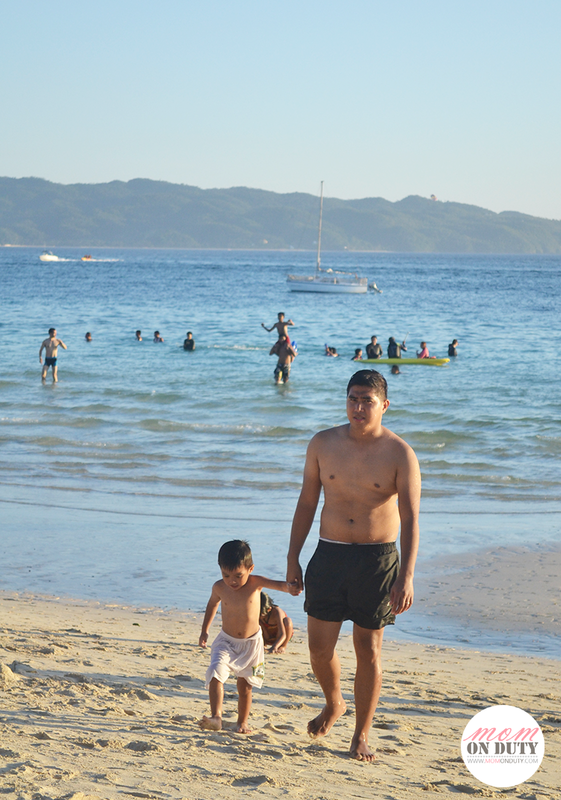 I hope we can go to Boracay next year. The fish sanctuary is interesting! It’s a must see. I especially love the floating hut within the sanctuary where guests can have lunch/snacks. The only problem though is that they only have one big floating “kubo” so during the summer, it may get a bit crowded.